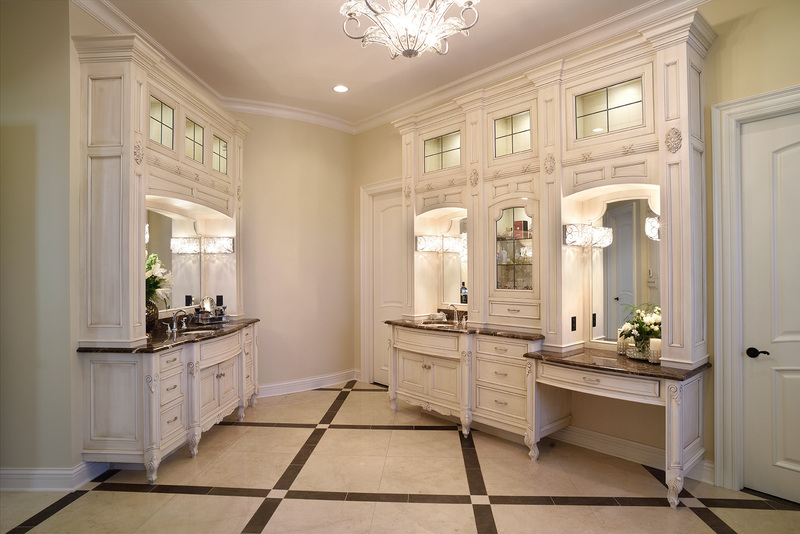 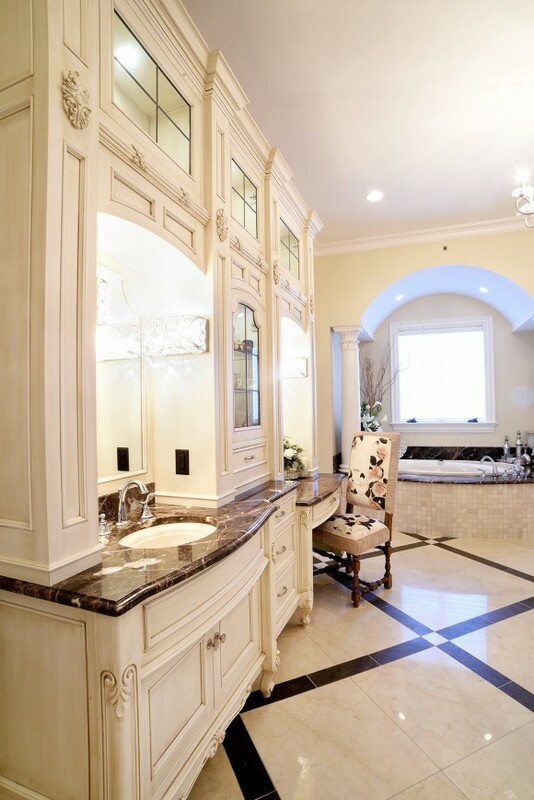 This luxurious, opulent ensuite Master Bath is a “suite” of its own, with expansive his and her areas, media cabinet, and luxurious soaker tub. 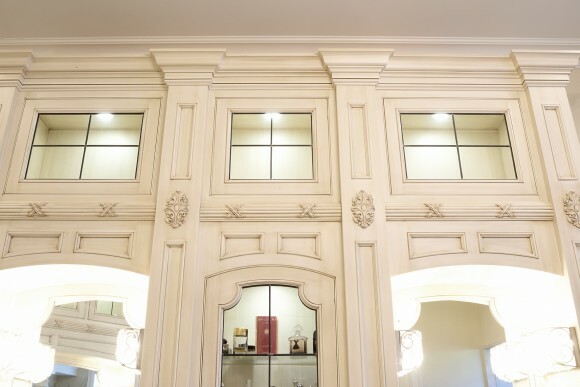 Breathtaking in both design and functionality, the custom made 11′ painted cabinets with glazing, leaded glass doors, and back-lighting provide endless opportunities for storage and display, while enjoying the beauty and craftsmanship of each detail. 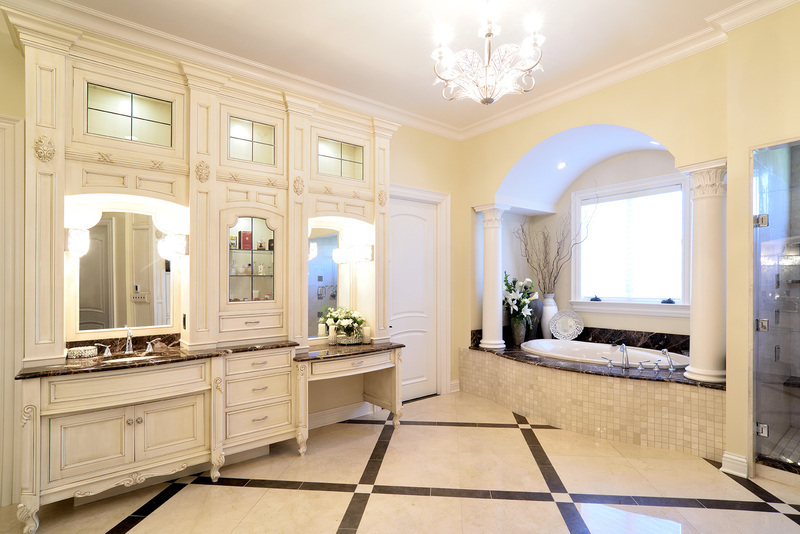 You will want to soak for hours in the spa tub in this relaxing home oasis.